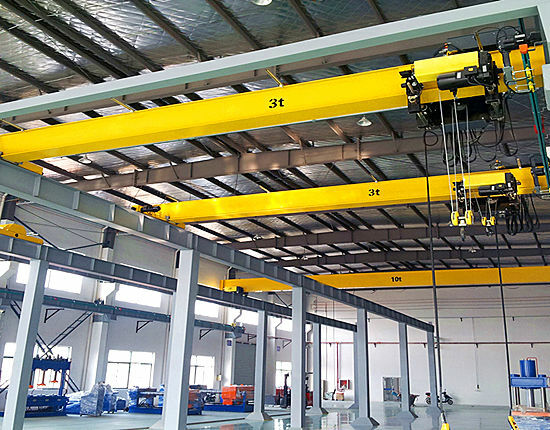 Indoor crane is applied in a wide range of indoor workplaces such as factory, workshop, shop, and workstation to boost efficiency and productivity of your production lines, which is also a much safer option of material handling solution. 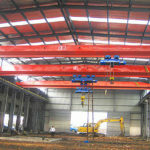 The crane indoor can be designed in multiple configurations, such as mobile indoor crane, mini indoor crane and indoor overhead crane, of which the overhead crane is the most commonly used lifting equipment in the indoor work places as it takes full advantages of existing building structure without need of supporting columns, thus the indoor overhead cranes can help save excessive construction costs. 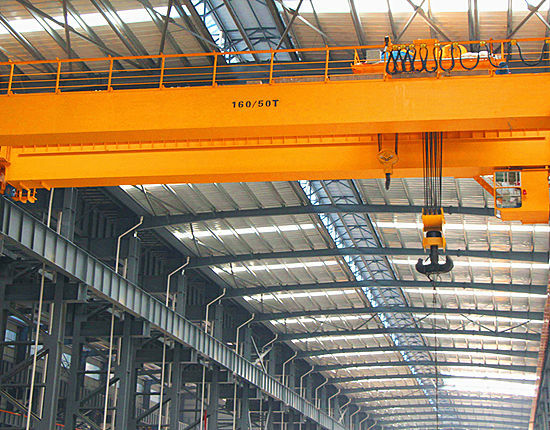 Ellsen has specialized in manufacturing and supplying indoor cranes for more than a decade. 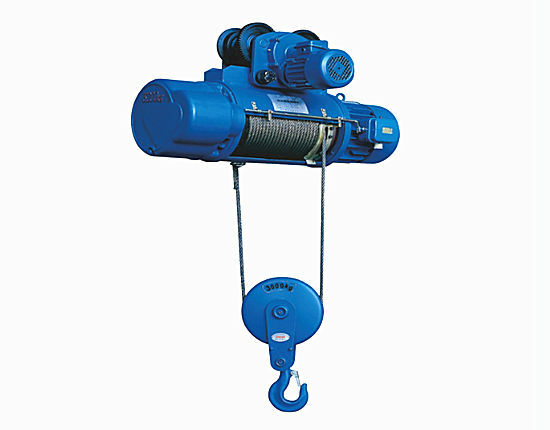 We provide a large variety of lifting devices to meet diverse needs of customers. Having embraced ISO and CE certificates, we are dedicated to provide superior quality and cost-efficient products so as to bring the greatest value to clients. When looking for an indoor bridge crane, customers are usually not sure which type of lifting device will best meet their needs, so it is important to know about indoor crane types and their differences in order to make the right purchase choice. 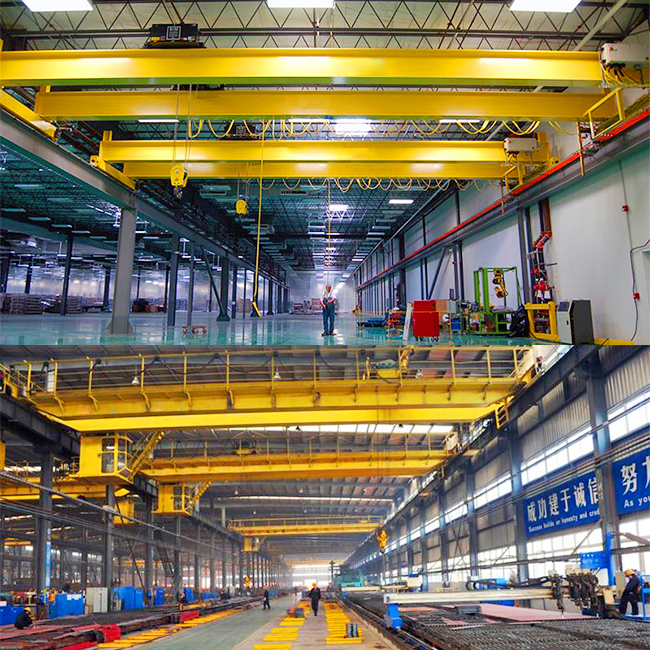 The indoor overhead crane we produce is available in many types, but mainly designed in four configurations including single and double girder, top running and under running. 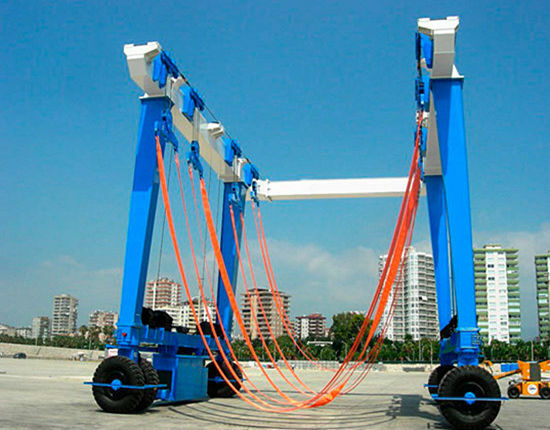 Based on these configurations, they adopt different components designs and specifications such as capacity, lifting height and span to serve their practical needs. 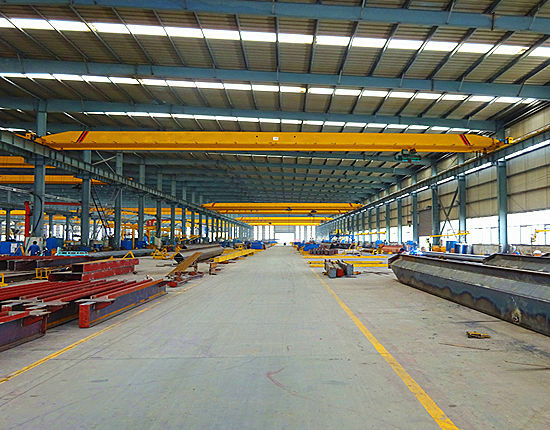 For instance, we have warehouse crane, factory crane, overhead shop crane, foundry crane, explosion proof crane, magnetic overhead crane and workstation crane with four main configurations designs available for your choice. 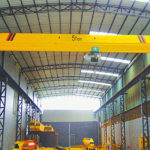 We also provide pendant crane, remote control overhead crane and cab operated crane in terms of control systems. With so many types of indoor cranes, some questions may be raised when you consider to buy an indoor crane. 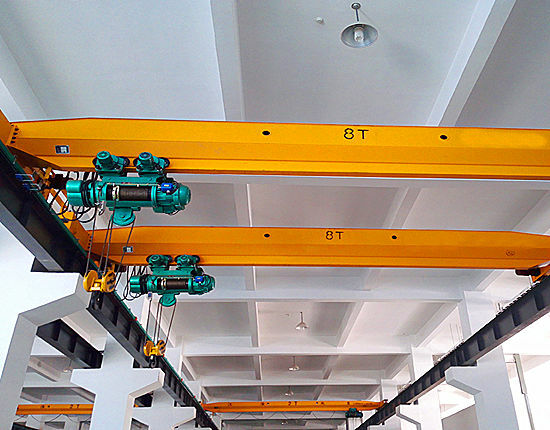 Things like what is your requirement for the overhead crane specifications? What is the frequency of your crane usage? Which control methods will you choose to operate the crane? Where will you use the over head crane? How is your working environment? How heavy are the loads? How much budget will you invest in the lifting system? To think about these questions and other related questions helps you make a right and proper evaluation of your lifting needs so that you can select the most appropriate crane for your business. 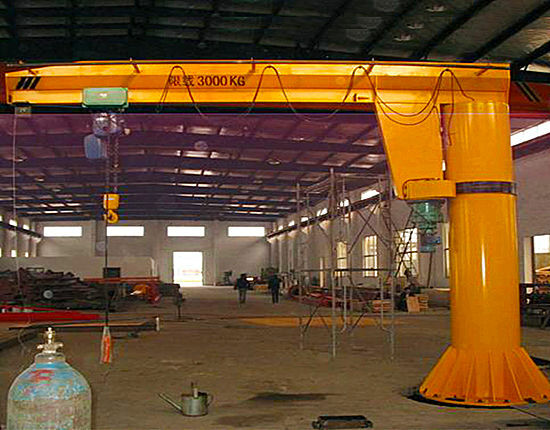 To know more detailed information about these types of indoor cranes, contact us now. Our sales team and engineers are willing to assist you to select the right indoor electric crane for your applications. 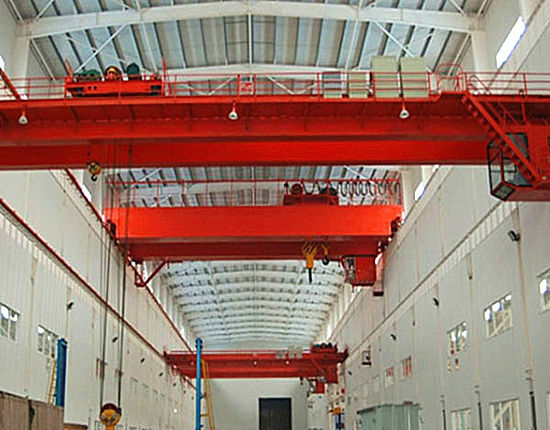 As a highly efficient and convenient lifting solution in industries and non-industries, the indoor crane system has many advantageous features and brings a lot of benefits to users. 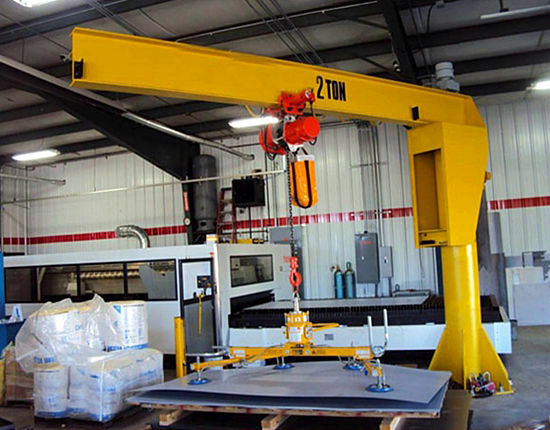 The indoor crane helps save human labor and improve efficiency in your factory. Unlike humans who may get distracted or fatigue in the process of working, the equipment can keep on loading and transferring materials without break, so it is a good alternative to do the heavy and repetitive work. It also helps reduce and even eliminate the risk of accidents, significantly enhancing the safety in your workshop. The indoor bridge crane helps remove workers from dangerous and hazardousenvironment by taking the place of humans to move heavy and hazardous materials. Thus workers can avoid exposure to such environment and ensure their safety. The indoor cranes have wide applicationsas they fall into multiple types to meet each individual Users can select the best solution according to their most practical requirements. 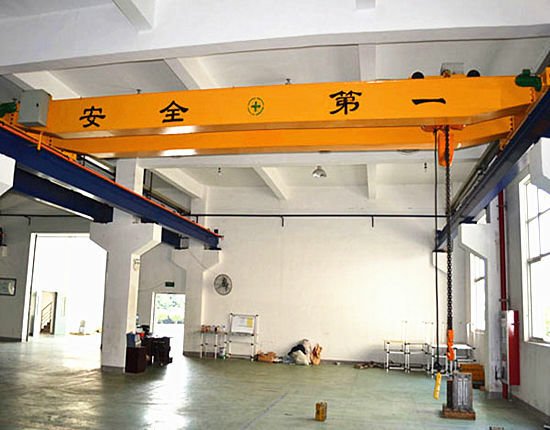 The indoor overhead crane is a cost-efficient lifting equipment because it makes good use of the indoor building structure to support the equipment, which helps save floor space and construction cost for users. Indoor crane safety is of paramount importance as it affects the operation of your production lines as well as personal safety. However, in the daily use, users are more likely to ignore the importance of overhead crane safety. In order to prevent accidents in advance and enhance the productivity and safety of your crane, customers should pay more attention to it and take preventive measures. In regard with the crane design and manufacturing, we have designed several protective devices and made precision machining to ensure the crane quality and safety. For example, the limit switch is a key component to promote the indoor crane safety, efficiency and reliability as it is used to regulate the crane operation when potential accidents occur and also prevent overheating and overloading. In some cases, the crane may be equipped with several limit switches to ensure a higher safety. 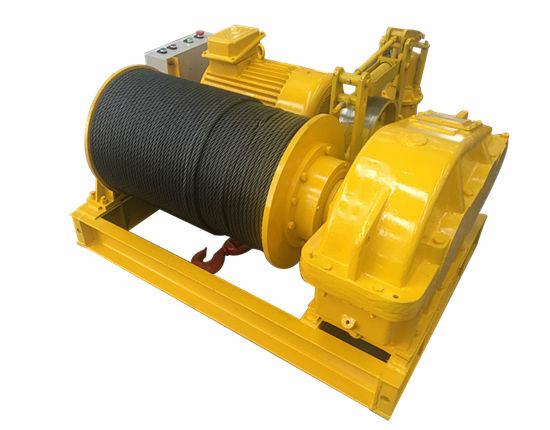 Besides, we value much on the crane quality as a manufacturer and supplier so as to prolong the service life of the crane overhead and protect the interests of our clients. 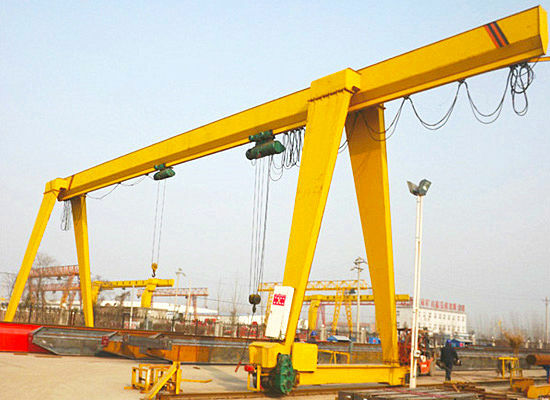 We have set quality control system and strictly followed the design and manufacturing standards and regulations to ensure high quality cranes, which we know is well worth the effort because it not only creates value for our customers, but brings good reputation to us. Another critical part to ensure the indoor crane safety is the inspection and maintenance of overhead cranes. It is inevitable that your indoor cranes suffer from wear and tear, so you should inspect the crane daily before it is used and take regular inspection and maintenance. 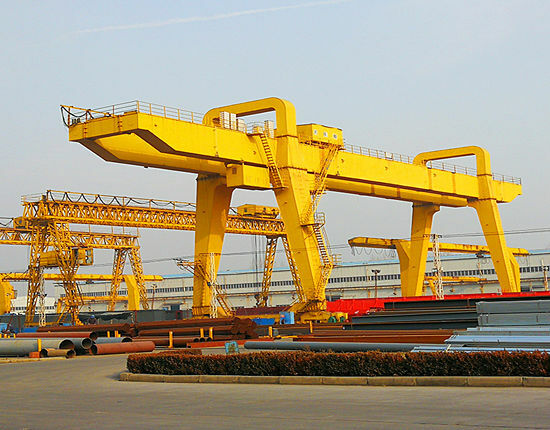 We also have professional technical team to provide overhead crane maintenance and guidance. In addition, the indoor crane safety training and maintenance training are essential. The crane operator and personnel should be educated on the expertise of the indoor overhead crane they are using as well as the proper usage in order to prevent misuse and accidents. We have various indoor cranes for sale. If you are looking to buy indoor overhead crane or want to know more about indoor cranes safe lifting operations, please consult our sales representatives and engineers. Look forward to cooperating with you!